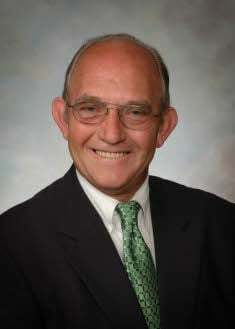 Spencer “Penny” Shields, Horn Lake’s Public Works Director since 2002, passed away this week. Visitation is scheduled for Saturday at DeSoto Hills Baptist Church in Southaven. The City of Horn Lake lost its Public Works Director this week as Spencer “Penny” Shields passed away Wednesday evening. The city announced Shields’ passing on its Facebook page Thursday. Shields, as Public Works Director, had charge of building maintenance. Street maintenance, and the city’s sanitation department. He was also the Horn Lake Sewer District representative on the DeSoto County Regional Utility Authority. His service with the city started in 2002, bring with him more than 30 years of experience in building maintenance, water, sewer, and general maintenance. The Water Valley native graduated from Water Valley High School in 1970. Shields also was an owner/operator of Shields Shoe Shop since 1980, a licensed locksmith and earned a First Class Steam Engineers license. Assistant Director Jay Williams will oversee the department until a new person is hired. “The assistant will be doing it until the board (of Aldermen) decides who to hire permanently,” said Mayor Allen Latimer, who added Shields was an important resource to the city and potential business additions considering a Horn Lake location. Visitation for Spencer “Penny” Shields will be held today, Saturday, April 13th from 11 a.m. to 1 p.m. at DeSoto Hills Baptist Church, 4680 Getwell Road in Southaven. There will be no funeral and/or graveside service due to the amount of rain expected.